Abroad 101 sessions are the starting point in the abroad process. Students interested in going abroad are encouraged to attend a session before setting up an appointment. Most of your questions will be answered in this session anyway! The Education Abroad team address things like the application process, costs, locations, coursework, travel and program selection! Generally, an Abroad 101 session is about 30-40 minutes, but an hour is allocated to answer any and all questions. 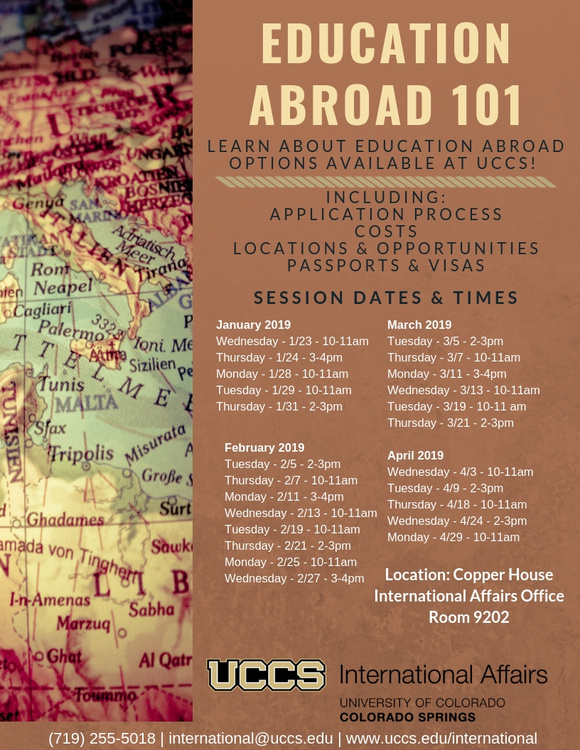 After attending an Abroad 101, students are free to make an appointment with the Education Abroad team to start their abroad journey!